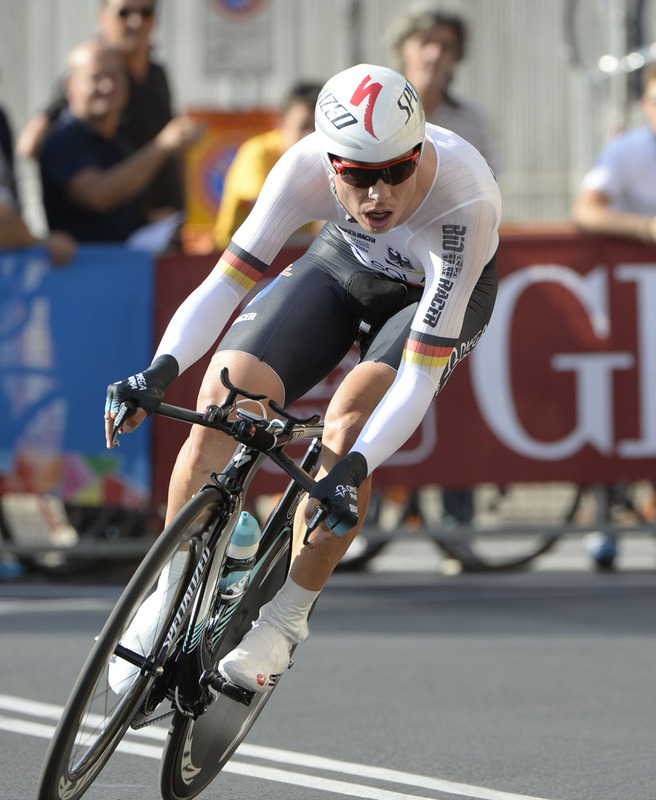 Germany’s Tony Martin became only the second rider in history to win three consecutive world time trial titles as he obliterated the opposition to complete his rainbow jersey hat-trick in Florence this afternoon. Martin completed his ride around the Tuscan capital in 1-05-36, having averaged 52.9km/h for the 57.9-kilometre course, to replicate Michael Rogers’ achievement of three titles in the discipline between 2003 and 2005. Great Britain’s Bradley Wiggins started slowly, posting the third best time at all three timechecks, but clawed back time on four-time world champion Fabian Cancellara in the closing stages to finish second, 46 seconds behind Martin. Cancellara completed the podium. 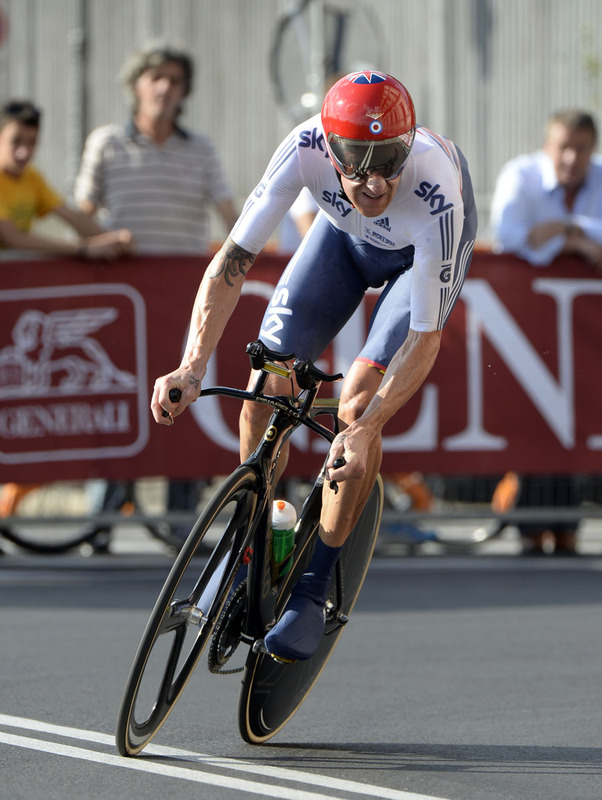 This is Wiggins’ second silver medal in the championships, having also trailed the German in Copenhagen two years ago. 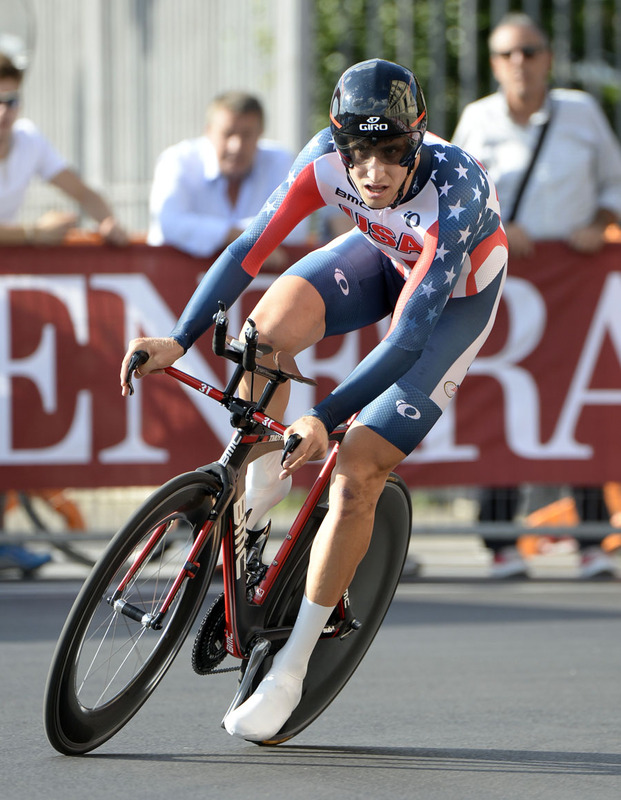 Britain’s Alex Dowsett – still recovering from an illness at the start of the month – finished 41st, 5-47 down on Martin in the longest-ever course used in the elite men’s world time trial championships. “I’m gutted, I couldn’t put the power down,” Dowsett said afterwards.